After finding some rather inspiring pins on Pinterest regarding creative ways to use playdough (see below for links) I decided to “spice up” (pun intended) my go-to playdough recipe. 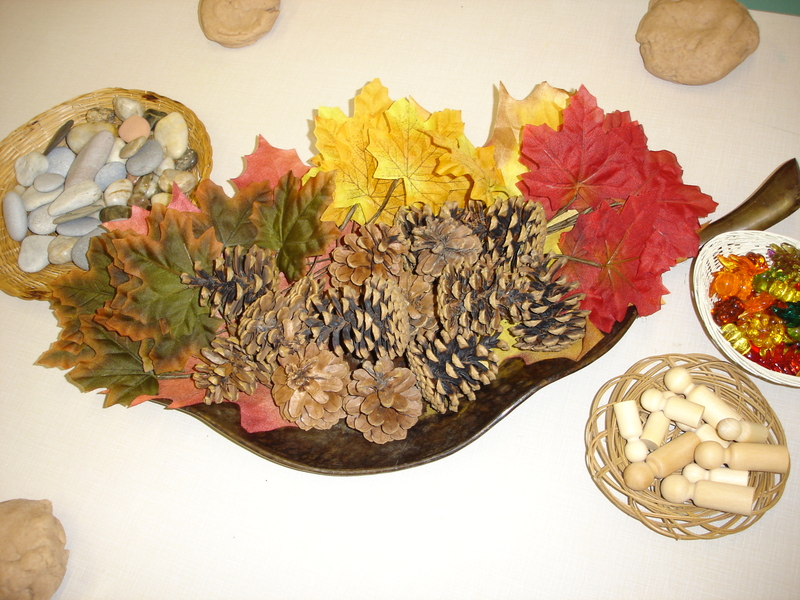 In my first attempt, I added a lovely cinnamon scent to the dough and gathered some fall-themed supplies such as leaves from the dollar store, wooden people, sticks, stones, and fall gems (clear pumpkins, leaves, and acorns). I put out the materials and let the children create whatever they wanted. This centre was constantly busy! 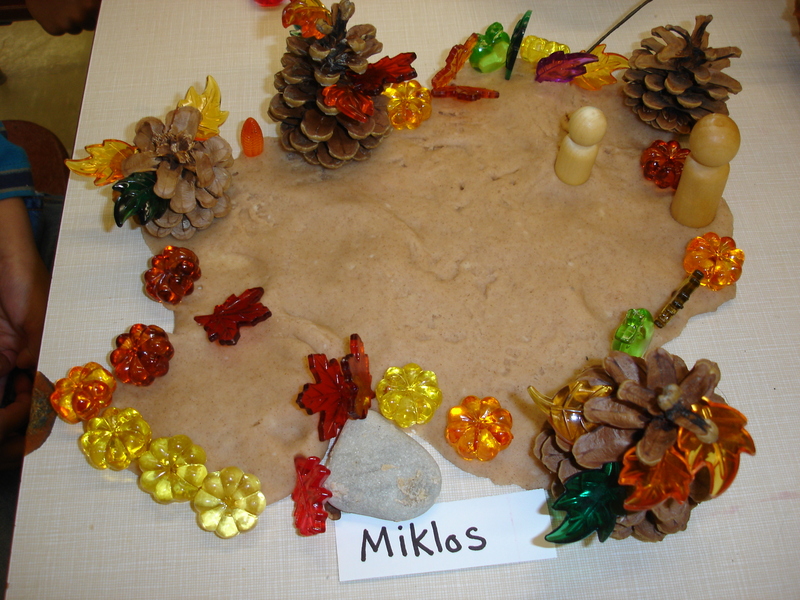 The children ended up creating “fall scenes” and told wonderful stories about going on walks in the forest with their families, going camping, and even connecting to some songs/stories we have been reading such as “Going on a Bear Hunt.” Even students who are normally quite quiet during sharing time were eager to talk about what they had made. I was able to assess the children’s ability to talk about their own experiences, make connections, and demonstrate their understanding of fall changes. We shared the children’s work with the class by photographing it and posting it on the SMART Board or showing it on the iPad. In my second attempt, I decided to jump on the “Pumpkin Spice” bandwagon that has been popping up everywhere lately by adding pumpkin pie spice to my playdough recipe. For this dough I also added some red and yellow food colouring to give the dough a light orange tint. My ECE partner and I noticed that the children had shown an interest in cooking at our classroom drama centre so for this provocation we included baking supplies such as muffin and cake tins, rolling pins, measuring cups, and cookie cutters. I also put out some harvest-themed paper plates. Just like the week before, this centre was constantly busy! The children were really drawn to the delicious scent of the dough and set to work making cookies, pies, and ice cream. I was able to observe many children planning “pumpkin parties” and negotiating roles, such as who would make which dessert for the event. 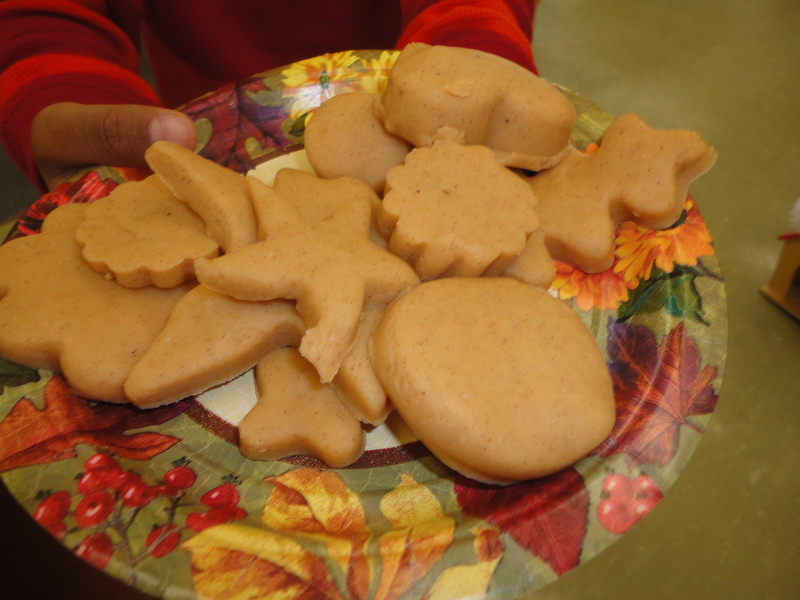 When the treats were completed, their bakers walked around the room to “share” them with their classmates. It is interesting to reflect on how food can bring us together – I haven’t yet seen another activity in which the children are so keen to immediately involve others in what they have created. Have you found any other inspiring ways to use playdough in your classroom or home? If you decide to try either of these activities, I’d love to hear how they turn out! Heat the oil in a pot on the stove on medium low. Mix the flour, salt, and cream of tartar in a bowl. Add water and food colouring. Add the mixture to the pot with the warm oil and stir with a wooden spoon until it forms a ball in the middle of the pot. When the ball is no longer sticky looking, remove to a cutting board and let cool for a few minutes. Knead the dough on the board several times until the dough is smooth. Store in a plastic bag or air tight container. 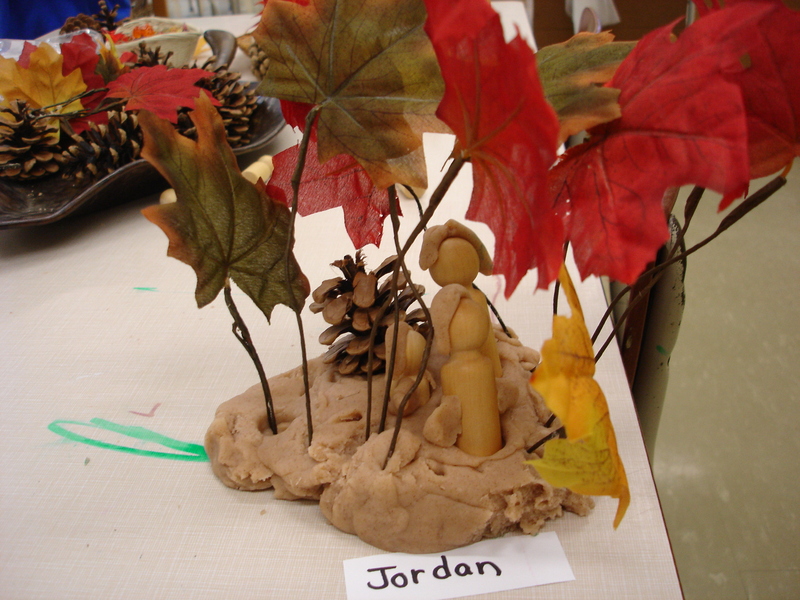 This entry was posted in Playdough Provocations and tagged autumn playdough activities, playdough provocations, playdough recipe by msmcdonell. Bookmark the permalink.